To Our Shareholders and Investors | SCREEN Holdings Co., Ltd.
First of all, we would like to express our deepest gratitude for your continued support of our operations. The environment surrounding IR activities has been evolving rapidly due to changes in the global economy coupled with a need for compliance with varying regulations in force in countries worldwide. Accordingly, I place particularly strong emphasis on engaging in dialogue with our shareholders and investors. My commitment to such dialogue remains unchanged since my time as the officer in charge of IR, my former position. Today, as I engage in IR activities as president, I am given even greater opportunities to hear the diverse opinions of our shareholders, investors and analysts and often benefit from their insights in the course of my decision making. Again, I would like to extend my wholehearted gratitude for their valuable input. Currently, SCREEN Holdings is stepping up its information disclosure as part of IR activities. For example, I have been taking the platform myself at quarterly earnings presentation meetings and delivering briefings regarding business performance and ESG*-related topics. With the intent to maintain fair, timely and transparent disclosure, we have also made it a rule to post the content of latest Q&A session on our corporate website in a few days each earnings presentation meeting. This fresh approach to IR activities has garnered favorable investor reviews. 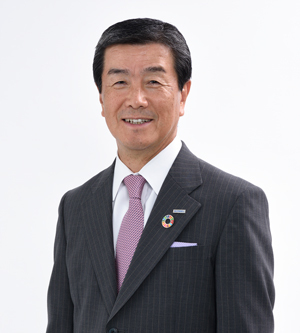 In 2018, the SCREEN Group has celebrated a couple of major landmarks, namely, the 75th anniversary of our inauguration and the 150th anniversary of the founding of our forerunner, the Ishida Kyokuzan Printing Works Looking ahead, we will ceaselessly endeavor to secure sustainable growth as a corporate citizen, thereby enhancing our corporate value. We sincerely ask for your continued support and encouragement. *ESG stands for environmental, social and gonernance.